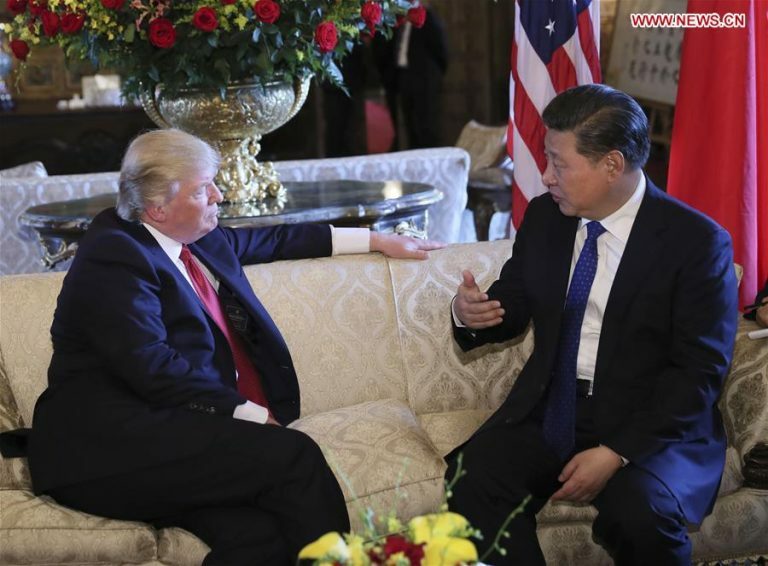 BEIJING, Jan. 1 (AFP) – The presidents of China and the US have exchanged messages vowing to boost cooperation despite a bruising trade war on the 40th anniversary of the countries’ diplomatic relations, Chinese state media reported. Tensions between Beijing and Washington soared in 2018 over trade disputes, although US President Donald Trump has frozen the latest planned tariff hike and on Saturday reported “big progress” after a call with his counterpart Xi Jinping. In the messages sent Tuesday, Xi underlined the importance of working with the US “to advance China-US relations featuring coordination, cooperation and stability”, state news agency Xinhua reported. According to Xinhua, Trump praised the last four decades of diplomacy between China and the US, hailing his “solid friendship” with the Chinese leader. Trump initiated the trade war because of complaints over unfair Chinese trade practices — concerns shared by the European Union, Japan and others. Since the two leaders agreed on a truce on the sidelines of the G20 summit meeting in Buenos Aires, however, there have been small signs of progress — and an absence of new threats from Trump. In the same year, late paramount leader Deng Xiaoping, often credited with China’s “Reform and Opening” policy which led to its economic transformation, met US president Jimmy Carter in the United States. In December, China’s major state-owned grain stockpiler said it had resumed buying US soybeans, and Beijing announced it would suspend extra tariffs on US-made cars and auto parts starting January 1.